GREENEVILLE, Tenn. — A Tennessee couple has been arrested after allegedly seeking to sell their infant son for $3,000 on Craigslist. 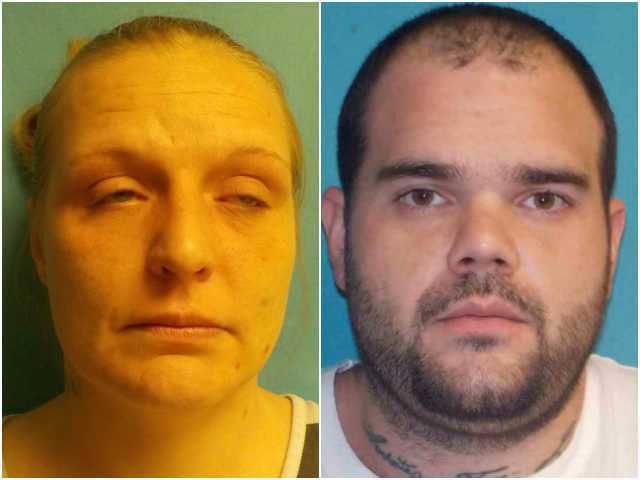 John David Cain, 26 and Deanna Greer, 37, were arraigned on Monday at the Greene County General Sessions Court on charges of aggravated child abuse and neglect after they handed off the baby to an undercover investigator on Friday. According to reports, a Craigslist user contacted the Elizabethton Police Department after seeing the post, which advertised “a 5-month-old baby for sale.” The police then alerted the Greene County Sheriff’s Department, as well as the Tennessee Bureau of Investigations. An undercover agent consequently contacted the couple and was advised of an asking price of $3,000. The two parties arranged to meet up at the local Dollar General store, at which time the baby was handed over to the agent once he paid for the child in cash. Cain and Greer were then taken into custody and are currently being held on $150,000 bond each at the Greene County Jail. The male infant is in the care of the Tennessee Department of Children’s Services, along with another child who belongs to Greer. Sheriff Pat Hankins told the Greenville Sun that he has never witnessed this type of case before. 2 Timothy 3:1-4 advises that the in last days, many will be selfish and lack natural affection. “This know also, that in the last days perilous times shall come, for men shall be lovers of their own selves, covetous, boasters, proud, blasphemers, disobedient to parents, unthankful, unholy, without natural affection, trucebreakers, false accusers, incontinent, fierce, despisers of those that are good, traitors, heady, high-minded, lovers of pleasures more than lovers of God,” it reads. Cain and Greer have court dates set for April 7 and 8.